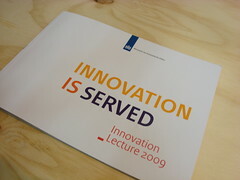 A month ago we wrote about a great milestone: the first Dutch book on Service Design. We are still extremely proud that we got the chance to write this book for the Dutch ministry of Economic Affairs. A limited number of 300 copies was printed and we had to wait for the book to become available online. The good news is that the waiting is over. Today the Ministry released the PDF of the book and made it available for download! UPDATE 2: An official English translation has been released! You can download the PDF here! UPDATE 1: Jeff took the effort to run the book through google translate. Click here to download the English version of the book. Thanks Jeff! We hope that this won’t be our last Dutch Service Design publication as we had so much more interesting and inspiring content to share but not enough pages. Enjoy the book and we love to hear your comments and feedback! Gefeliciteerd, en dank voor de pdf. Gefeliciteerd! Ik kijk er naar uit jullie boek deze week door te nemen. Congratulations on the book! It LOOKS nice (unfortunately I don’t read dutch). Are you planning to translate it to english? Best wishes! Congratulations! I’ll see if my German can help me make some sense of the Dutch.